The University of North Carolina at Chapel Hill leaps forward in its groundbreaking work fusing the arts, academics and community, as Carolina Performing Arts announces today the creation of The Core@Carolina Square. This new innovation lab, studio and theater, to be located downtown at the Carolina Square development, will become the physical and intellectual home for world-class artists-in-residence to collaborate with scientists, researchers, students and the community. The nearly 8,500 square-foot facility will encourage students and faculty to create, innovate and connect with artists, each other and local residents, by driving the creative process, providing physical space for dialogue and inspiring new insights throughout the campus and beyond. "The arts are such a strong creative force here at Carolina," said Chancellor Carol L. Folt. "I believe every space on campus should support the artistic process. The Core@Carolina Square will create another vibrant place where our students and faculty innovate and connect with artists, each other and the broader community." The Core builds on the success of CPA's Arts@TheCore initiative, the Andrew W. Mellon Foundation-funded project that integrates the performing arts into Carolina's mission of teaching, research and public service. Emil J. Kang, UNC-Chapel Hill Executive Director for the Arts and head of Carolina Performing Arts, conceived Arts@TheCore and has spent the last decade building CPA into an illustrious performing arts presenter. Kang worked closely with Cousins Properties and Chapel Hill town leaders to bring the new performance and lab space to life. "We envision The Core@Carolina Square as an incubator for artists and audiences to share creative experiences and to serve as the home for our artists-in-residence," said Kang. "These shared experiences will be immersive, interactive, and intimate, all qualities that resonate with our desire to bring artists and audiences closer together." The Core is funded with support from the University and will consist of two flexible spaces: an adaptable black box-style performance and creative space, and a separate rehearsal space. As a research space, it will host artists, in collaboration with scientists and technologists, to experiment with ideas and advance new projects. As a performance space, it will present an exciting annual program of public performances including experimental dance and theater, jazz, cabaret and even Saturday morning programs for families. A separate studio will serve as a rehearsal space for visiting dance companies, theater groups, students and community groups. Additionally, the venue will allow students and faculty to explore the intersection of arts and academics more directly by holding artist-student workshops and seminars. In addition to The Core, Cousins Properties and Northwood Ravin designed Carolina Square to include retail, office and residential space as well as a public green space, which will also be utilized for performances and entertainment. With adjacent parking, the area is expected it to be a popular destination for all audiences. "Cousins and Northwood Ravin always envisioned arts and culture as an important component in the design and execution of the Carolina Square," said John McColl, Executive Vice President of Cousins Properties. "The project will include a variety of artistic expression including the now exciting opportunity to engage the public with performing arts through Carolina Performing Arts and the Arts@TheCore initiative." 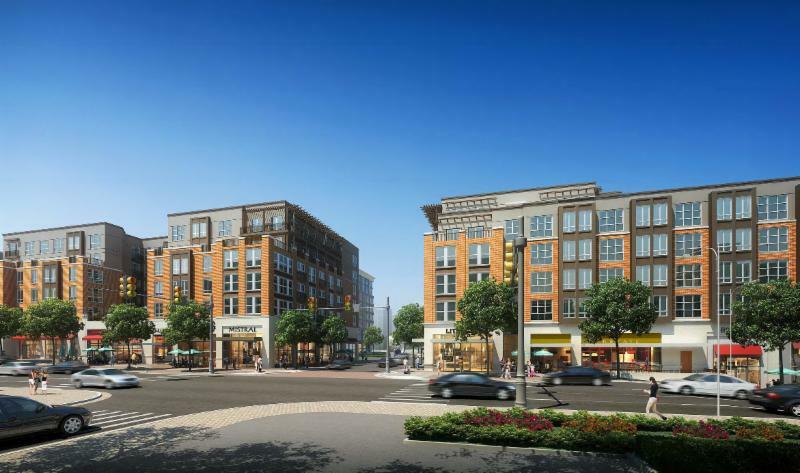 Leaders from the Town of Chapel Hill also advocated for Carolina Square's development as a centerpiece for arts, entertainment, commerce and community in the heart of downtown Chapel Hill. "We are thrilled to anticipate a new public plaza coming to our community that will further expand all the vibrant and lively offerings happening in Downtown," said Mayor Mark Kleinschmidt. "Cultural events from Carolina Performing Arts will contribute to what makes Chapel Hill a quality destination for visitors." The Core@Carolina Square is slated to open August 2017.